Want to create a custom blend and then have us co-package it for you? 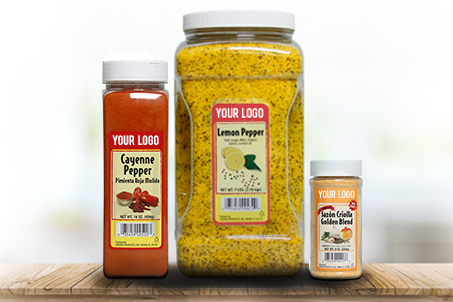 In fact, at Liborio, we can private label your custom blended product in batch sized packaging for industrial processing, or in flexible packaging for retail applications. We can help you develop your unique food product whether it is a seasoning blend that you have created or an existing Liborio blend that you would like to market. We are a food and ingredients “solutions” company that can transform your idea into reality. We can even provide all the steps necessary to develop, produce and package your next great blend idea. At Liborio Spices and Products we have been private labeling spices and seasonings for medium and large companies for over 50 years.